Serbian star midfielder Nemanja Matic completed a sensational move to Manchester United from Premier League Champions Chelsea On Monday, and the versatile player has now revealed that the temptation to play under manager Jose Mourinho once again was the key factor in his decision to join the Old Trafford club this summer. Matic played a key role under Mourinho at Chelsea, after the latter had signed him from Benfica three and a half years ago. The midfielder won the Premier League with Jose in 2014-15 season, and played a crucial role under Antonio Conte last term as well, as he won another domestic title with the club. However, Chelsea’s signing of Tiemoue Bakayoko from Monaco meant the Serbian had to look elsewhere, and that’s when Mourinho pounced on his trusted player, as Matic switched alliances from London to Manchester. 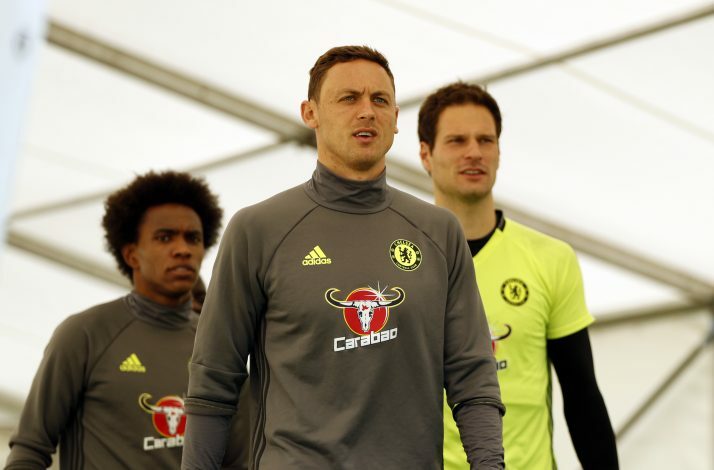 Matic is highly experienced, and has a winning mentality, having won major honours in both Portugal and England. His attributes in following the principles of Mourinho saw a convincing reunion with the Portuguese, who showed his belief in the 29-year-old. Matic played 154 games for Chelsea over two spells, and will now don United’s number 31 jersey, as fans await to see him link up with Paul Pogba and Ander Herrera in midfield.